It’s been a busy week for the LAPD, at least as far as Los Angeles DUI arrests are concerned. According to the LA Weekly News, police set up multiple saturation patrols and checkpoints throughout the Southland last weekend. On Saturday night (from 7 PM to 1 AM), the LAPD patrolled South LA, near the 77th Street Division area, as well as Huntington Drive near Poplar Boulevard in El Sereno. The police also set up another saturation patrol on Sunday in the West Valley Division area. Law enforcement officials argue that these patrols prevent deaths and injuries on the road. Per the LAPD: “research shows that traffic collisions involving an impaired driver can be reduced by up to 20% when well publicized DUI checkpoints and proactive DUI patrols are conducted routinely.” While these patrols can, indeed, make the roads safer, they can often capture innocent people in the dragnet, forcing those drivers to endure license suspension, jail time, humiliation, spikes in their insurance rates, and other frustrating consequences. 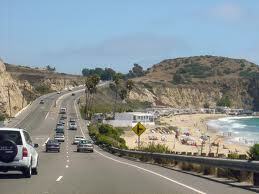 The authorities set up another checkpoint on PCH over the weekend, netting 20 DUI arrests after checking out 150 drivers. That LAPD checkpoint, which ran from 7 PM to 3 AM, per a Sheriff’s Country press release: “was one of many that have been and will be conducted throughout the year in Malibu.” Authorities arrested 10 people for driving without a license, impounded three vehicles, and even arrested someone for refusing to comply with checkpoint instructions. Believe it or not, checkpoints have only been considered Constitutional for a few decades. A landmark case decided by the Supreme Court in the late 1980s considered whether DUI checkpoints violated Fourth Amendment rights. The Supreme Court ruled that such checkpoints were Constitutional, but the court put many constraints on them. For instance, police cannot hold vehicles indefinitely or use excessive force. Authorities are also limited in terms of when and how they can establish and run checkpoints. • Perhaps the police failed to read you your rights, engaged in abusive or overly aggressive behavior, or searched your vehicle without probable cause. For help, call experienced Los Angeles DUI defense attorney, Michael Kraut, and his team today for an even, clearheaded consultation about your defense options.